Written by Fausto Pugliese (founder and CEO of Cyber TradingUniversity) this must-have resource offers a hands-on guide tolearning the ins and outs of active trading. How to Beat theMarket Makers at Their Own Game gives professionals, as well asthose relatively new to investing, a behind-the-scenes look at theinner workings of the marketplace and a comprehensive overview ofbasic trading techniques. 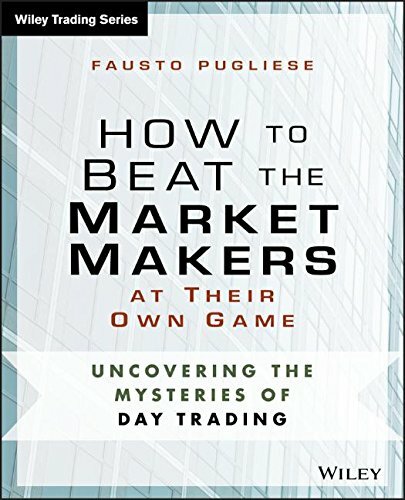 The book explains how to apply thetrading strategies of acclaimed trader Fausto Pugliese. Step bystep the author covers the most common market maker setups, showshow to identify market maker traps, and most importantly, revealshow to follow the direction of the lead market maker in anindividual stock. Throughout the book, Pugliese puts the spotlight on Level IIquotes to help investors understand how market makers drive pricesand manipulate the market. This handy resource is filled with thetools needed to interpret market maker activity so traders cantruly understand the market and trade accordingly. How to Beat the Market Makers at their Own Game willbecome your well-thumbed resource for learning what it takes tosucceed in short-term stock trading.